Supported by a modernized infrastructure facility, we have been able to come up with a gamut of Surgical Blades. We offer our customers a wide range of Blunt Tip Keratome Blades, Miniature Surgery Blade, MVR Blades and Tunnel Blade under this category. 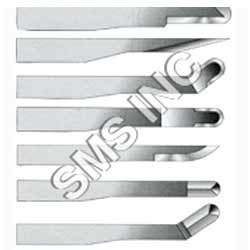 The offered blades are widely used for ophthalmic surgeries and several other applications for medical purposes. Moreover, a team of deft professionals makes sure that these superior quality blades are delivered at clients' end within the committed time-period. 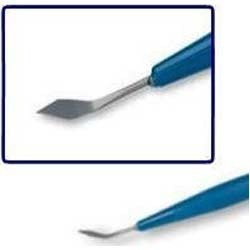 We are dedicatedly engaged in developing and offering our valuable patrons a range of Blunt Tip Keratome Blades. 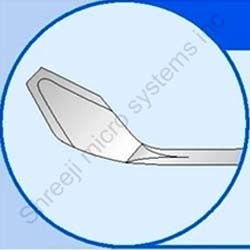 These are specifically designed by the medical experts of our organization to give perfect incision of required width or insertion of phaco tip. Moreover, due to hygienic value and supreme quality, these keratome blades are extensively used during various surgeries and are appreciated in the market. Backed by the sound experience of variegated pros and cons of the market, we have been able to come up with a range of Miniature Surgery Blades. The offered blades are designed as alternative to general surgery precise incision blades for micro surgery also ecc surgery. 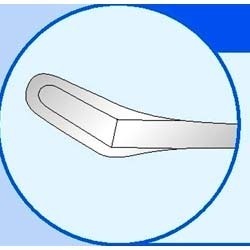 Advanced technologies and qualitative raw material are widely used in manufacturing these surgery blades. Sms 6200 chisel tip blade sms 6300 pointed tip blade sms 6400 round tip blade sms 6500 lance tip blade sms 6600 lamellar angled 60` sms 6610 lamellar straight sms 6700 miniature curved tip sms 6900 sharp all around sms 6910 sharp all around angled 60. Being a customer-focused enterprise, we work hard to come up with a range of MVR Blades. All our offered blades are developed by a team of adroit experts, keeping the industry laid standards and guidelines. Due to having attributes such as lightweight, excellent grip and seamless finishing, our offered blades are widely demanded by the patrons. 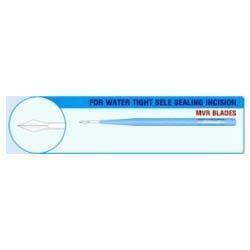 Moreover, we offer these blades to the customers in various sizes and specifications as per their demands. Owing to the sound experience of variegated aspects of the market, we have been able to offer a range of Tunnel Blades. These are designed and developed by the professionals of our firm in compliance with the international medical standards. Customers can avail these blades from us in varied sizes as per their requirements. Moreover, we offer these blades to the customers at industry-leading prices. We are offering a wide range of Keratome Blades to our valuable customers. These Keratome Blades are provided by us at very reasonable price. For Keratome of Slit sharp. Implant Incision.